and remind them that we are all called to be Apostles for Christ. 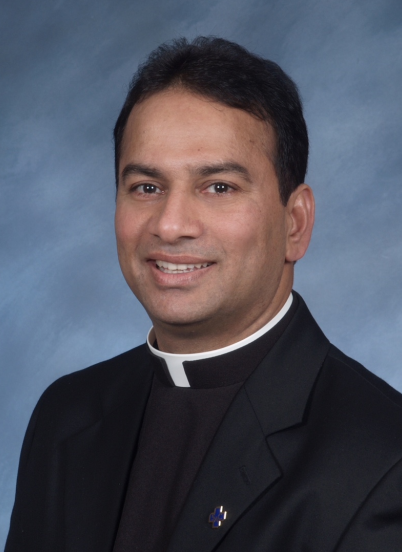 As I reflect on my time as a Pallottine priest, I could never have foreseen the path my life has taken from India to Wisconsin, spreading God’s message of hope to His people. 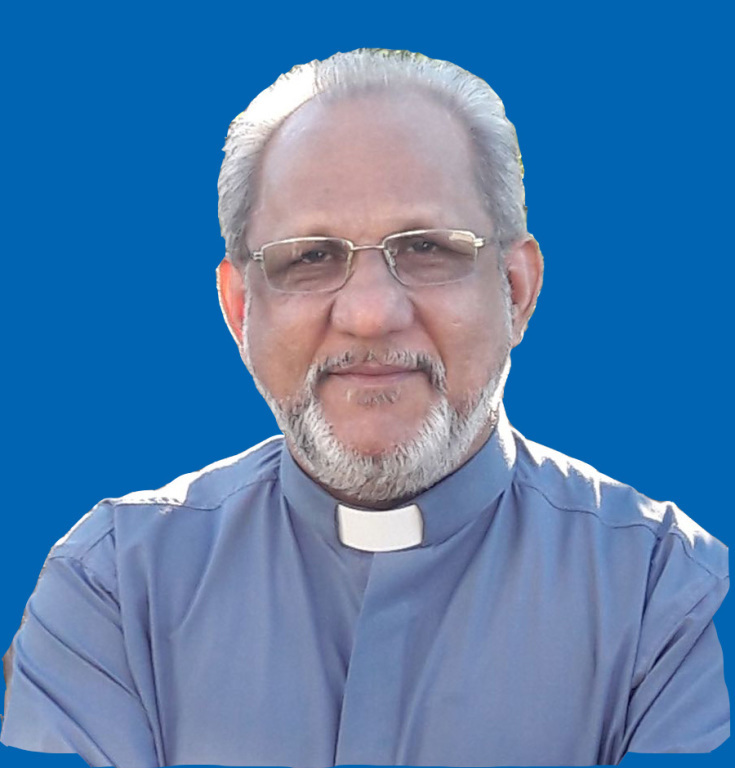 My first appointment was associate pastor at St. Vincent Pallotti parish in 1981 on the outskirts of Bilaspur City, an ancient trading ground in the central part of India. 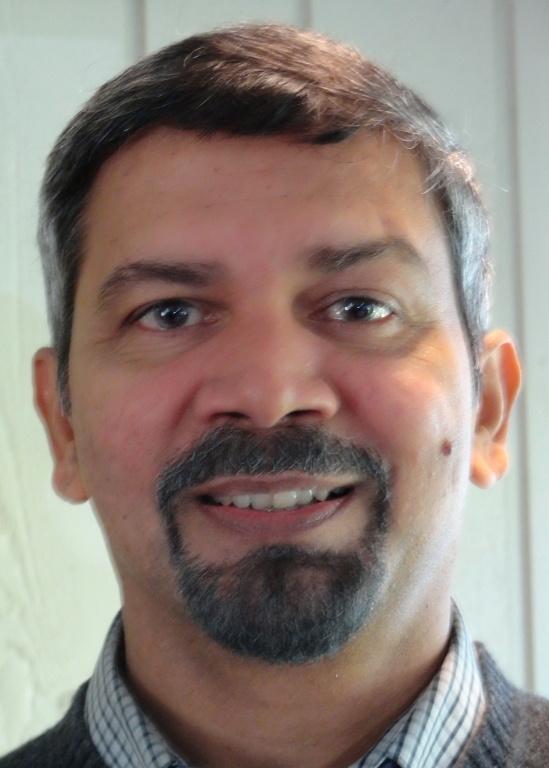 My first challenge: I was not fluent in the Hindi language, which presented an obstacle for me and the two hundred Hindi speaking families I ministered to. I spent many late nights learning the Hindi language with the help of a dictionary and I was very thankful for my parishioners' patience. Three years later I was appointed the associate pastor at the biggest parish of the diocese of Raipur, India—my ten-hour walks were history for me! The parish had nine mission stations and a population of more than 5,000 Catholics. It was a very satisfying, yet busy, pastoral life where I was also dean and confessor to the nuns of the entire district. 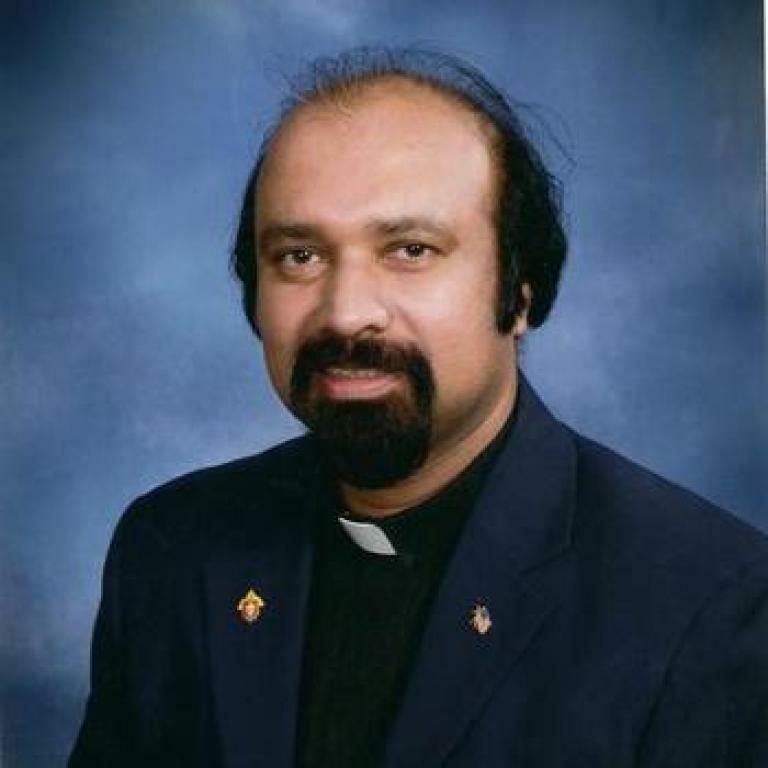 In 1991, I arrived in the United States to further pursue my theology studies at Loyola University in Chicago. From India to Chicago—what a contrast in lifestyles. I was amazed at the beautiful high-rise buildings and the expansive size of the city. I was also awestruck by my first snowfall. It was beautiful! At least it was pretty until I had to drive on the snowy roads—another challenge! I returned to India to teach seminarians philosophy and psychology. After some years of teaching at an orphanage as well, my superiors decided not just to transfer me, but to export me! So I came to the United States and faced a new challenge. I find myself in Wisconsin enjoying the mood swing of her climatic hiccups. These days, I serve as pastor in a rural parish in Wisconsin where I have helped to unite a once divided parish under one God. What an extraordinary life I have lived! I know as I travel this journey, the Lord leads me to a fulfillment beyond my personal expectations and accomplishments. When I look back at my wonderful years as a Pallottine priest I thank God for my wonderful experiences—and I rejoice in the love of Jesus Christ. I come from the State of Kerala, known as 'God's own country', in India. I am from a somewhat large traditional Catholic family of seven children (five boys & two girls). Although I belonged to a big parish (a forane church), as for convenience, our spiritual and pastoral needs were looked after by priests of a religious ashram (the Vincentian Congregation) which was situated very close to where I lived. As a result, I had contact with religious priests even from my childhood and this contact gave me a taste and an inclination towards religious life. As I was completing my high school education, I met with my parish priest, Fr. James Edavazhithara VC, and told him about my desire to become a priest in a missionary congregation. He was a very spiritual person and had some close association with the Pallottines because he himself spent some time in the Pallottine missions of Raipur and had very high esteem and appreciation for our work there. He guided me to contact Fr. Joe Kllani SAC, the vocation promoter of Pallottines in Kerala, Trivandrum -- and this is why I am a Pallottine today! I joined the Pallottines in 1977 after high school and with eleven years in different stages of formation, I was ordained in 1988. My first appointment was as an associate pastor in one of the prestigious parishes of the diocese of Thamarassery, in Kerala. 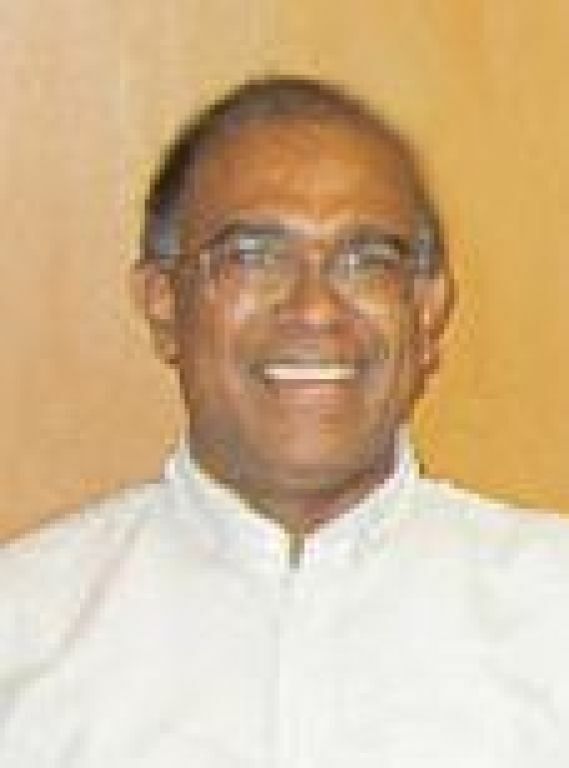 This appointment had its own special significance for this was a new step of the Pallottines to get involved in the Syro-Malabar church in India. I felt very privileged to be the pioneer in this new endeavor of the Indian Pallottines. I spent 12 years of my life in this area working, first as director of the Pallottine community, then as pastor of the parish and administrator of the school. During this time, I became instrumental in establishing the Pallottine community (Pallotti Villa, Mukkam), establishing and developing a prestigious parish in the town of Mukkam, and establishing an English medium school, the first of its sort in Kerala state for the Pallottines. I have also worked as the director and formator in the vocation orientation center, director and builder of the boys' home in Alapuzha and then a short time as assistant general bursar in Rome. At this time, I also completed my licentiate in missiology. I came to the Mother of God Province, Milwaukee-Wisconsin on the fifth of February 2008. I am here with an open heart to be at the service of the province and extend the benefits of my priestly ministry to the people around this area. 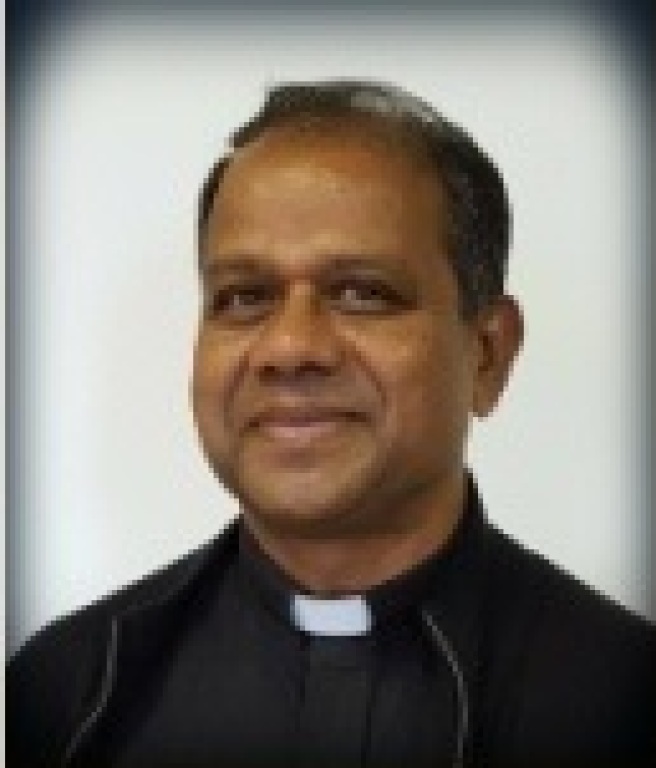 I am very thankful to the Provincial Fr. Leon and the members of the province who gave me a warm welcome and for their continued generous love and care. 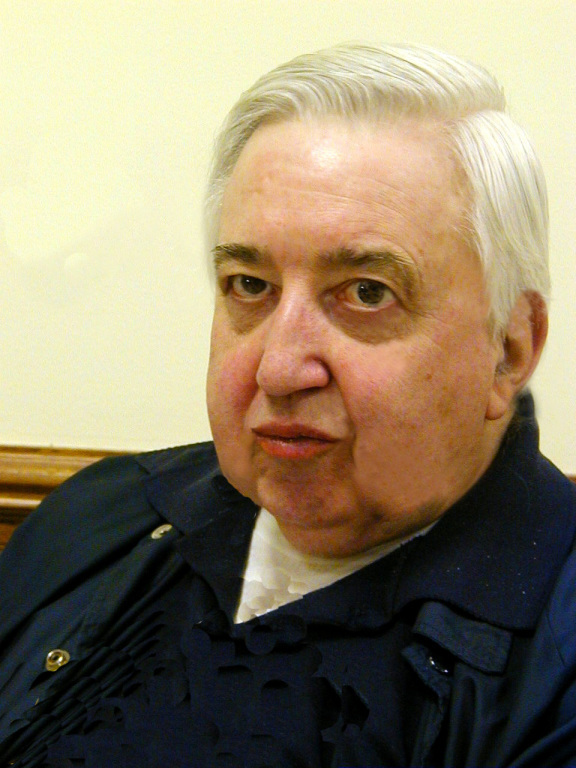 The spiritual heritage of Vincent Pallotti, the wonderful experience of community life and the manifold (catholic) avenues of apostolates, the friendly and caring attitude of the members, and responsible freedom, etc. are some of the elements that help me to be a happy Pallottine and inspire me to be and to persevere as a true Pallottine priest. I came to know the Pallottines through a Pallottine Father who came to introduce the Pallottine Society at a Vocation Camp for high school students conducted in the diocese of Thrissur. 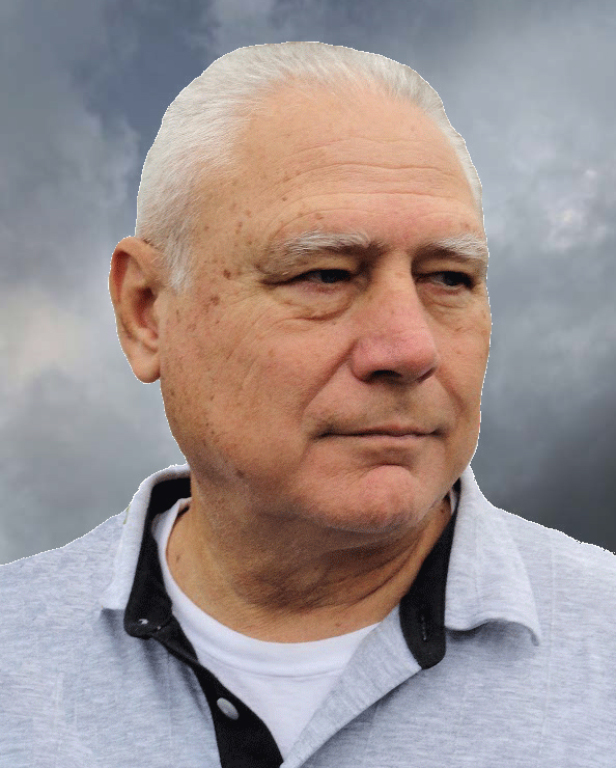 Over the years I have had various assignments, teaching, spiritual direction, retreat preaching, counseling, health journalism and religious journalism. These have all been enriching experiences. I especially like Counseling because I think that I have a gift for empathy and an ability to understand what ails some people. What gives me strength in my ministry is my belief that God is present here and now with us and that God loves me and everyone else with the same fervor. I am the sixth child in a family of seven children. I'm from Nanga-Eboko in the Upper-Sanaga division and the Center Region of Cameroon (Central Africa). My native diocese is Obala. I was fortunate to be born to a very committed Catholic family. My father was a member of our Parish Council, and he and my mother were members of many other different groups as well. As far as I remember, my deep desire was to become a priest and to serve the Church, encouraged, as I was, by the example of my parents. After my primary, secondary and higher studies at the Public University of Cameroon, I decided to join the Priests of the Sacred Heart. The reason being that my spiritual director was a member of that religious order and the Pastor of my parish. During this time, I came to know the Pallottines through my elder sister who was a nun. After participating in many vocation camps with them, I joined the Pallottine community in 1995. My formation was done in Cameroon and Rwanda; and I was ordained a priest in 2004. After serving in many places as an Associate Pastor, Pastor, Spiritual Director in Spiritual Centers and in Formation Houses of our local community, I was sent by my Superior to work together with my confreres of the Mother of God Province in Milwaukee. 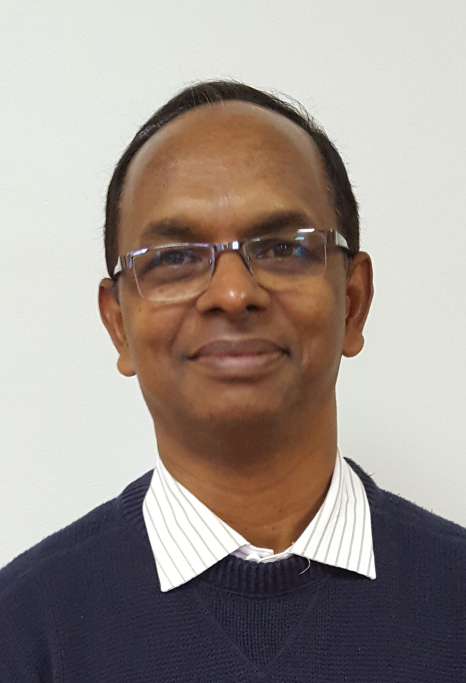 II am presently working as a hospital chaplain and enjoy my work and appreciate living, praying and working in our multicultural community here. 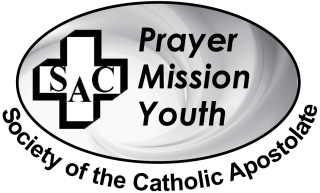 A dream I have is to see more and more young people joining our community and taking part in the task of spreading the Good News of our Salvation following the spirit and the ideal of Saint Vincent Pallotti. I came to know the Pallottines through my uncle who is a Pallottine Priest. While in high school I was planning to join the Jesuits, but when I came to know more about the Pallottines through my uncle I decided to become a Pallottine. I am still very happy with my choice. For twenty years I served in India as a priest in various capacities -- I was the director of an orphanage, Rector of the Pallottine Philosophy Institute, and I taught in the seminary. I have worked with youth programs, served as Director of the Pallottine Pastoral Center, and also as Pastor of a big multilingual parish. In 2001, I came to the United States. What a different experience that was for me, especially with the cold in Wisconsin. I saw snow for the first time and the year that I came we had 48 inches of snow! However, now I am accustomed to it and have even begun to like it. Of all the ministries I have served in, I like Parish ministry the most. I like to work with people as they deal with the realities of their daily lives. A parish provides a lot of opportunities to serve in various capacities. I like the pastoral aspect more than the administrative side. I enjoy listening to people and offering support and encouragement as well as working in a team. The spirit of a team is very good, in fact this is an important aspect of the Pallottine charism. What gives me joy and strength in my ministry is the awareness that we are able to make a difference in the lives of people through our meaningful ministry. There is so much need "out there" and in the midst of all the challenges I face, it is this awareness that keeps me going! I am so happy to be a Pallottine because being a Pallottine means to have a sense of mission and to be open to the signs of the times and respond to the needs with all our gifts, talents and resources both spiritual and material. And there certainly are immense possibilities. Currently I serve as the Provincial Rector of the Mother of God Province in Milwaukee and also as half time Pastor/Administrator at a parish. I am Fr. 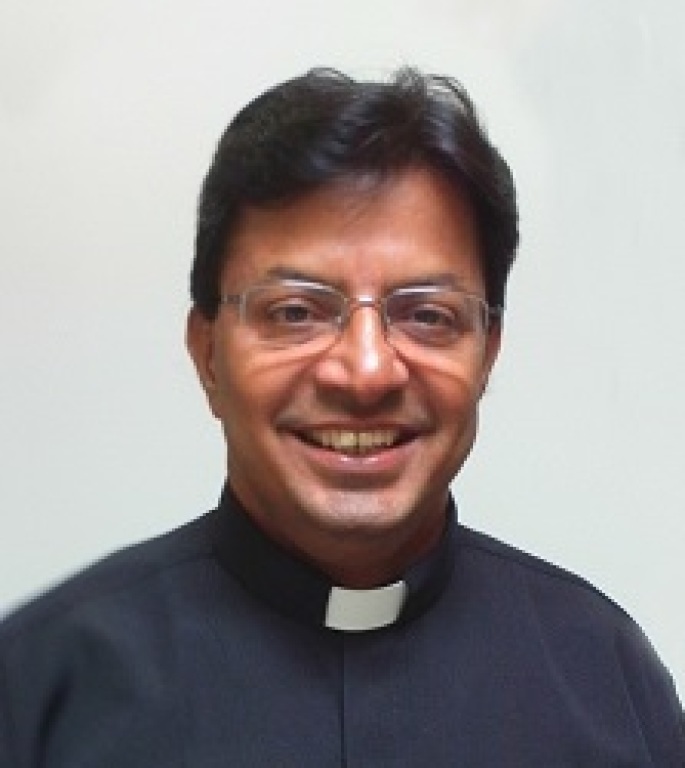 Christudasan Kurisadima (Father Chris), and I am from Trivandrum, Kerala, India. In my family I had three sisters and two brothers. My father was very strict to make sure that everyone from the family would go to daily Mass. The desire to become a priest was always in my mind and going to daily Mass really helped me to dream more about priesthood. The parish priests were certainly an inspiration for me. Having completed the tenth grade, three other boys from my parish and I went to the parish priest expressing our wish to become priests. Two of us he sent to the Archdiocese and two of us he sent to the Pallottines whom he knew well. You may find it interesting that before joining the Pallottine congregation I did not know anything about them! However, on June 26, 1980 I entered the Pallottine community and after years of studies and formation I was ordained to priesthood on May 1, 1991 -- and I continue to be happy that I am a member of the Pallottines! After my ordination I worked in different parishes, seminaries and institutions and I also I had the opportunity to study Pastoral Theology in Rome. I have now been called to ministry in the United States with the Mother of God Province. I am a Parochial Vicar in the Diocese of Springfield, IL serving in three parishes. I have always loved to do my best given the responsibilities that I have in whatever ministry I am called to do; however, to in the pastoral field, available to the people of God, has always been my personal preference. The more I come to know about the vision and charism of our founder, St. Vincent Pallotti; I love and appreciate him more and more. His intercession sustains my prayer life, and the daily celebration of the Holy Eucharist and other sacraments and parish activities give me the energy and enthusiasm to continue to be at the service of the Lord! Thank you and God bless you! I am from the state of Kerala in India. Since arriving in the United States in the summer of 2018 I have been blessed to be with my Pallottine community here in Milwaukee and very happy to be assigned to serve the wonderful people of St. Vincent Pallotti Parish. At this time I am just getting settled so this introduction is short, but I will soon share more with you about my background and my experience in service to the people of God through these past years as a Pallottine Father. I am a native of Chile. I was a teacher in a high school there as well as a Principal. I spent some time living and working with the Brothers in the Community of the Sacred Heart, who were present in my native land. After a few years, I left Chile to be with many of my family members who were moving to the States. I left the Sacred Heart Community at that time as well, but the desire for religious life did not disappear. In fact, there was another desire that surfaced too -- I felt called to the priesthood. After spending some years teaching Spanish in the New York Public School System, I then answered an invitation to come to Milwaukee to be with the Pallottine Fathers and Brothers. It was then that I spent some time as a postulant in Milwaukee taking studies at Sacred Heart School of Theology and I completed 2 years of novitiate. After my novitiate I went to Catholic University in Washington, D.C. and studied Theology. In August 2005, I was very happy to celebrate my Final Consecration and on January 22, 2006, the Feast of St. Vincent Pallotti, I was ordained a Deacon. I was ordained to the Priesthood on May 27 by Archbishop Dolan at St. Vincent Pallotti Parish in Milwaukee. I have been working in Hispanic Ministry and I now continue this work as an Associate Pastor in two parishes, St. Francis and St. Benedict. These parishes are located in Lake Geneva and Fontana, WI. I am grateful to all those who have helped me to come to this point in my life and I pray that I can serve Jesus in the role of Priest fro many years to come. 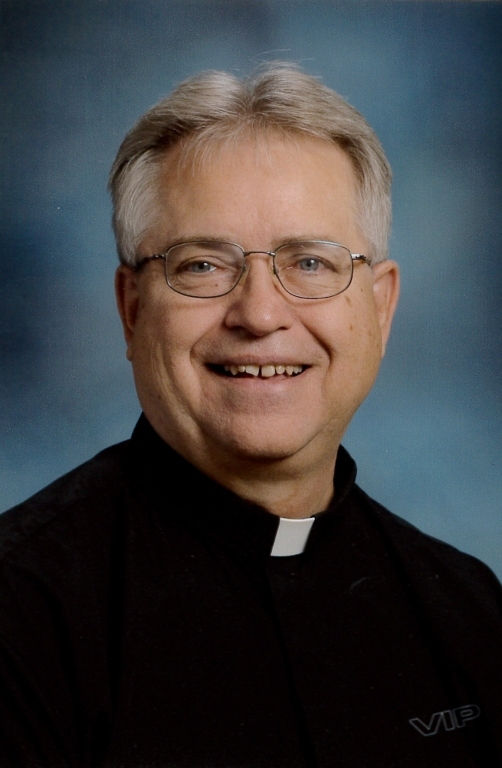 Father Lorenz is one of our senior priests who is a member of our St. Vincent Community in Milwaukee. My first contact with the Pallottine Society (SAC) came through vocation literature. I didn't really intend to become a Pallottine but circumstances kept leading me in this direction and eventually I took the step and came to the seminary after speaking to a Pallottine Priest from my hometown in Fowler, Michigan. My first few years as a priest were spent in parish ministry and then in the formation of priests and brothers, especially in the period of novitiate. This also gave me some opportunities for retreat ministry. I then served in Province Leadership and now work in Vocation Ministry and also as a chaplain at Pius XI Catholic High School in Milwaukee. The Union of the Catholic Apostolate (UAC) and its growth is my favorite ministry since it touches the core of being a Pallottine -- one with clergy, laity and consecrated life. Many good things have happened especially in the last 20 years with the UAC. You can learn more about UAC on this website. I find the living out of my Pallottine call as most lifegiving. The mission of collaboration with all the entities of the church is old and ever new. Although sometimes people may feel at odds with clergy or religious and the clergy may feel separated from laity and consecrated life, but this is why I St. Vincent Pallotti inspires me. St. Vincent saw the beauty and need for all to labor together so that there may be one fold and one shepherd. I came to know the Pallottines because they are working in different places in India, especially in the state of Kerala. The Pallottines have some parishes in the District of Kannur in the south part of Kerala where I am from. The Pallottine priests came to my parish, St George Church in Chempanthotty for vocation promotion for the priesthood. As a young boy I also participated in number of Pallottine priest’s ordinations which were held in my parish. So, I developed an interest to become be a Pallottine missionary. 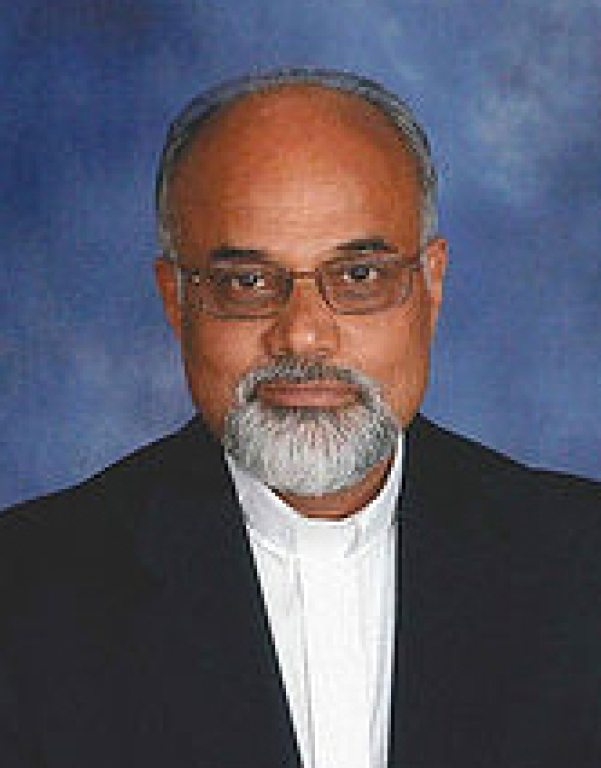 After my ordination on April 30, 1997 I worked as a co-pastor in Kutturwa mission for two years. This is one of the most remote and most difficult missions of the Pallottines in central India. I then moved to Khandwa mission and worked for two years as a co-pastor as well. In 2002 I was appointed by the M. P. &C. G. Bishops Conference, as the Regional Youth Director for Madhypradesh and Chathisgardh State. This area covered 16 Dioceses and I worked in this position for seven years. Working along with Bishops and the diocesan youth directors was a different experience and it was very challenging. Working with the young people in the Catholic Church is one of the most nourishing ministries I have enjoyed as a priest because the young people are our future. In 2009 I was appointed as school manager and principal in New Delhi, Sangamvihar slum project. Then in 2012, I moved to a mission in Zambia. I moved to the United States in 2014 and my first appointment was as a chaplain at St. John’s Hospital. 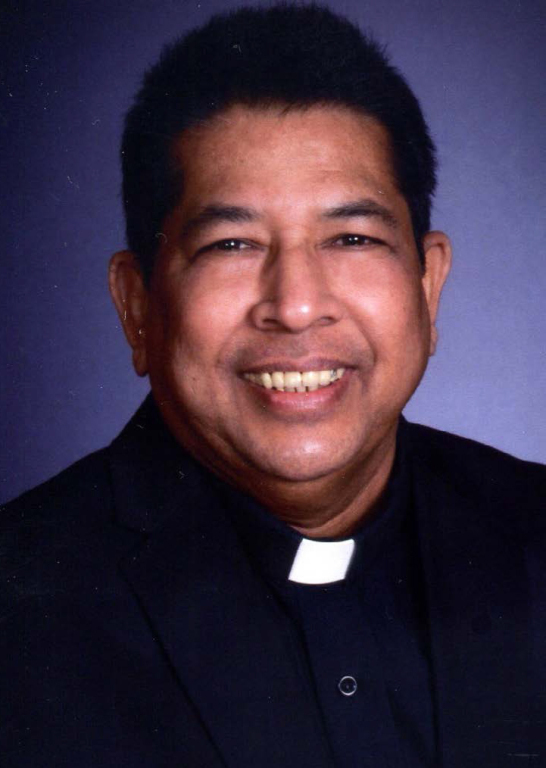 In 2015 I was appointed as a Pastor of St John Vianney Parish, Sherman, IL where I am serving presently. My strength in my ministry is my faith that as a servant of God I am called to fulfill God’s mission and share his love through my life. What keeps me going is the encouragement and love that I receive from the people where I work at the parish and my Pallottine collaborators. I grew up in India and was number 7 of 8 children. Our family was religious and very involved in the church so service to God and others was very important to me . In church and as a student I learned about missionaries and I decided that I wanted to be a missionary after I finished high school. I went to the Pallottine Seminary and then served in the northern part of India which is where many missionaries are working. I also returned to the seminary and college as a teacher and taught Philosophy and Ethics. In 2001 I went to work at a parish and school with the Italian Province of Pallottines. After four years there I came to Milwaukee and was in the training program CPE (Clinical Pastoral Education) to be a hospital chaplain. After this ministry I returned to parish work and served in the Diocese of Springfield, IL. I was at different parishes in the diocese and currently I am ministering as Pastor to the people of God at the Tri-Parishes of Holy Cross in Auburn, IL, Sacred Heart in Virdin, IL and St. Patrick in Gerard, IL. I love parish ministry. There are never two days that are the same and there are always a variety of things that happen each day -- in the parish, with families and hospital visits. Families and young people give me energy as we share discussions about themselves, the church, the world and the future. I learn so much from my parishioners and I'm always amazed at the youth who ask so many questions -- it's always energizing! I came to know about the Pallottines through the Vocation Director of the Archdiocese of Milwaukee. I felt that the Lord was calling me to be a religious Brother so it was recommended that I visit the Pallottines. I entered the formation program of the Pallottines. I learned about religious life and completed my time as a Postulant and Novice and then happily made my final profession in the year 2001. I have served in ministry to the homebound at St. Vincent Pallotti Parish and also in vocation work with the Province. I am now the House Administrator of the Pallotti House and work in the ministry to the homebound at Blessed Sacrament Parish in Milwaukee. My ministry to the sick and homebound is very special to me. I am able to be with people in their time of need which allows me the sacred opportunity to follow in the footsteps of St. Vincent Pallotti. It is a special honor to pray with the people that I visit and bring Holy Communion to them. This ministry makes me feel fulfilled as a Religious Brother. I came to know the Pallottines through the Pallottine Vocation Director, who visited the parish grade school that I attended in southwest lower Michigan. He invited me to the seminary in Madison, WI even though I was at first contemplating the diocesan seminary but had not yet taken the entrance exam. I have been involved in various ministries beginning with teaching High School (Theology). During that time I was also moderator of the stage crew, moderator of the rod and gun club, and an assistant varsity softball coach for various periods of time. While teaching, I was also a chaplain in the Wisconsin Army National Guard and became an instructor in the Wisconsin Hunter Education Program. Subsequently, I served at our Retreat Center in Elkhorn, WI assisting at a nearby parish for most of that time as well. After that I was in parish ministry, serving in the Archdiocese of Milwaukee, and for a few years in the Diocese of Superior, WI. Currently I am serving again at the Retreat Center. One of the things that sustains me in my ministry is the opportunity to enjoy the great outdoors. I love God's creation and try to find time for hunting, fishing, camping, bicycling and gardening among other things. I first got to know the Pallottine Fathers when one of the priests came to our parish to preach. I also had the privilege of spending a summer working at the Pallotti house in Milwaukee with several others for a "part work and part fun" experience. It was good getting to know the Pallottine community and I felt at home with them so I entered the minor seminary at Queen of Apostles in Madison, WI. I enjoyed my studies and was enthusiastic about continuing the training and formation to become a Pallottine priest. After my ordination to the priesthood, I spent 4 years teaching social studies and religion at the minor seminary, Queen of Apostles, in Madison, WI. In addition, I started and expanded the music program with a band and choir. Later, I taught religion at Pius XI High School. For several years I ministered in parish work and also spent time at our Retreat Center in Elkhorn, WI. For the next 20 years my ministry was in hospital chaplaincy and I directed the Pastoral Care program in a suburban hospital. 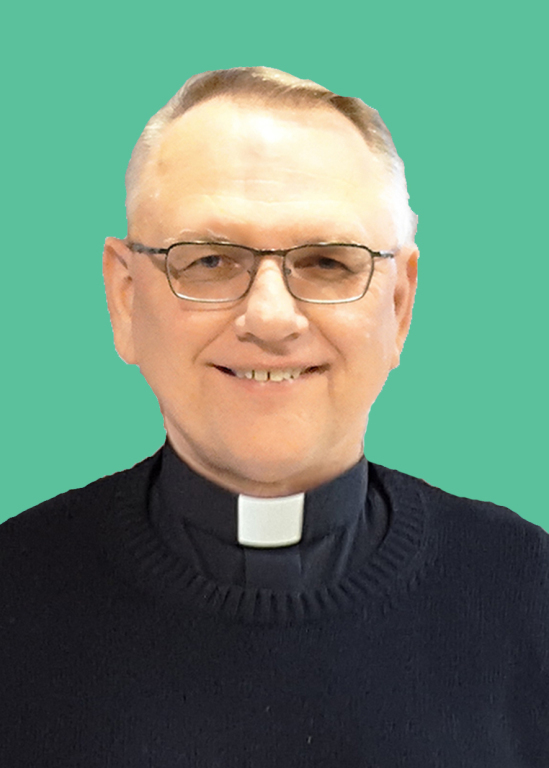 I also had the assignment from the community to serve as an Associate Pastor at St. Cecilia in Calgary Parish in Alberta, Canada of the Canadian Delegature formed by the German priests. As a Pallottine, I have been blessed to work in a variety of ministries and have many enriching community gatherings, talks, prayer services and retreats. I am happy in my retirement years to be able to continue to be involved in the parish and sing in the parish choir. In addition, it is always a special joy for me to go to retirement homes and sisters' convents to celebrate Mass with them. I was introduced to the Pallottines through the Vocation Director who came to visit my grade school here in Milwaukee, WI. It was he who invited me to come to the seminary. Throughout the years I have been involved in teaching, parish ministry, vocation work and retreat ministry. Presently, in addition to doing Parish Mission Appeals across the United States, I also serve as a "help out" work by offering Masses at various parishes, retirement homes and convents. Throughout my years in community, I have been know as the "resident technology person" of our community. Along with being a "technology person" I have worked with the Province website and specifically the section called UAC (Union of the Catholic Apostolate). St. Vincent Pallotti, believed strongly that everyone -- priests, religious, and laity -- is called to be an apostle in his or her way and manner. In 1835, Vincent Pallotti founded the Union of the Catholic Apostolate UAC is the lay laity . I am presently the President of the UAC in the United States. Please take a look at the UAC section of our website. Though all the missions to which I have been assigned have been good and growing experiences for me; my favorite ministry has been on the parish level. I enjoyed the many varied aspects of parish life and the involvement with people in all stages of life. Certainly what keeps me going is the challenge and the grace that Jesus continues to present to me within the celebration of the sacraments each day. 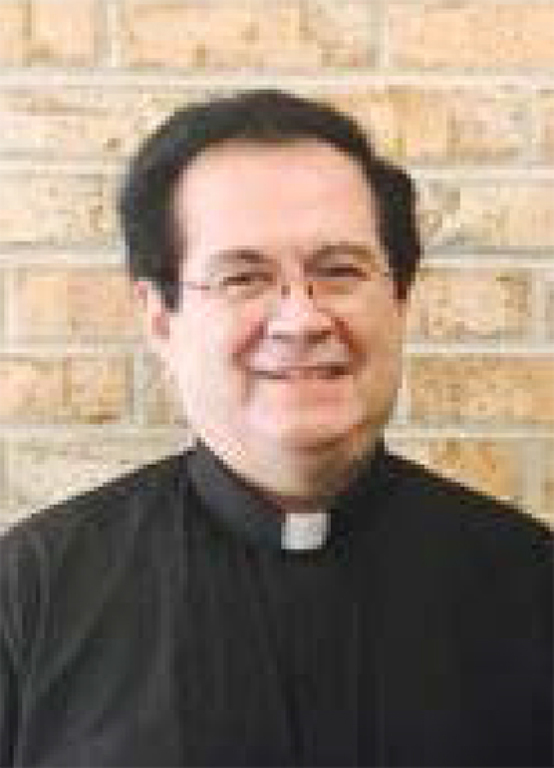 Father Joy is the pastor of San Ramon Church in Woodrow, TX and also St. Francis of Assisi Church in Wolfforth, TX. These parishes are in the Diocese of Lubbock, TX. 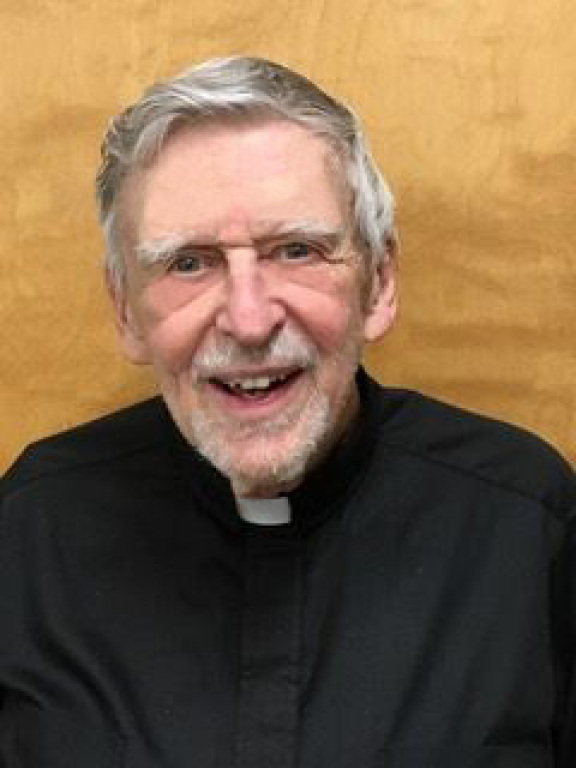 Father Joy has served as shepherd of both of these parishes since July of 2016. Now that I am formally installed, let us continue our journey together. Your incredible faith, unrestricted support and generosity are inspiring to me. Sometimes, words fail to express that deep sense of gratitude. Please accept my sincere gratitude and know that I appreciate everything. In today’s Gospel, John the Baptist gives testimony to Jesus by pointing out that He is the Lamb of God. We are familiar with these words because in every celebration of the Eucharist, we sing or say the Agnus Dei, “Lamb of God, you take away the sins of the world, have mercy on us/grant us peace.” In this prayer, we give expression to our deepest understanding of the identity and purpose of Jesus Christ, as our Lamb and Lord. More than ever, the Gospel reminds us that being a disciple of Jesus means that we grow by faith to become witnesses for Him. Bearing witness to Christ is an active, not passive, lifetime enterprise. One cannot be a disciple of Jesus at a distance, any more than one can be a distant lover. Our founder, St. Vincent Pallotti, wrote, “Love of Christ urges us on.” Let the love of Christ urge us on to bear witness to Jesus. Together, let us take up this lifetime enterprise.